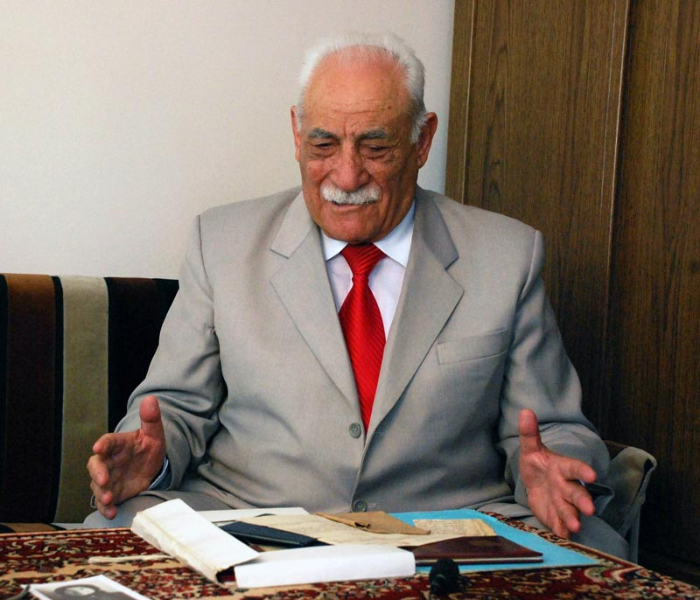 The interview with Paruyr (born in Pemzashen, in 1930) was recorded on 22.05.12 in Gyumri, where he had relocated to from his villageto go to college. Unfortunately, Paruyr Tonoyan passed away in the spring of this year. The duration of the interviewis abouttwo and a half hours, interviewer – Gayane Shagoyan. Paruyr Tonoyan’s father was arrested in 1936, allegedly for afive year term, but he never returned back from exile. The family got hisdeath certificate twice, but each time the date and the cause of his death were differently noted. Paruyr and his brother were taken care of by their grandmotherwho was a communist before his son’s arrest. After his arrest she returned her party membership card and later took it back again when her grandson was goingto join the communist party. 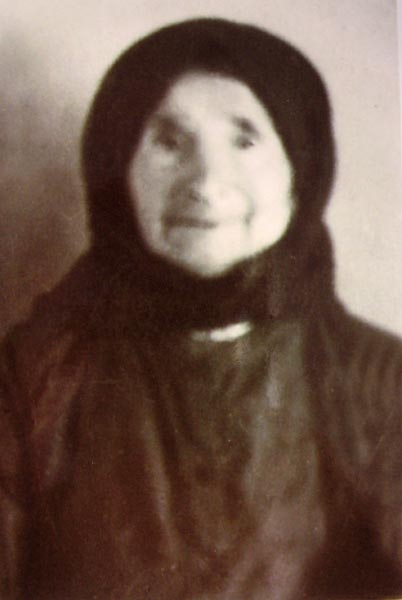 Although from their familythe main victim of Stalin’s repressionswas his fatherthe main hero of his story was Grandma Shamame who managed to save and bring up her grandchildren. “Grandma died in  63, and she was already 94 or 95 years old. She was born in Penzashen, but my grandfather was from Kars. At the time of skedaddle in[ 19 ]15, as my grandma often used to tell, my grandfather carted to fetch some goods for their store in Pemzashenand waskilled by the Turks in the river on his wayback home. Thus my grandfather Arshak didn’t ever return home. By that time my grandma had my father and my aunt. 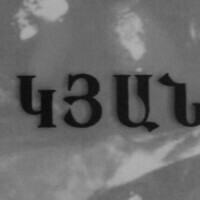 My father was born in 1906, and my aunt was born in 1910.LaterGrandma married Avag Kerobyan,and it was her secondmarriage. He was a very good man. Lord, have mercy on him. Grandpa Avag had never been married before this marriage. At that time as his [Avag’s] familydidn’t want him to marry a widow with two kids they broke off the relations with them. Grandfather Avag abandoned his entire family … and married Grandma Shamame. Grandma lived at grandfather Avag’s place with him, she was his wife, and they lived together. My father, mother, my brother and I lived in a separate house. We were Tonoyans and they were Kerobyans. Gyumri – a town in the Republic of Armenia called Leninakan in soviet times. Ghars, called also Kars – a town in the eastern part of the Republic of Turkey, in the historical Western Armenia, the capital of Kars region. Skedaddle– The survivors ofGenocide committed towards the Armeniansin 1915 in Turkeyoften use the words skedaddle, massacres, slaughter. So, when in 34, my father and mother got divorced Grandma never told me the reason, and eventually took it to the grave. We were left orphans. Actually, my father was working then, and there was nobody to take care of us. Grandma took us to his place – me and my brother. And when in 36 my father was exiled, our house was abandoned at all, and, we stayed with Grandma being under her custody. Three attempts were made to banish us as well, but Grandma managed to take care of us being a very intelligent woman. In those days there was a newspaper called “Soviet Armenia”printed on a red paper. Stalin once stated in that paperthat children should not pay for their fathers’ deeds. When the capture time started, Grandma cut that piece of paper and kept it. Whenever they came to get us, Grandma would show that paper, and they would leave without banishing us. They had taken ​​our roomsand hadturned them into a Gyughsoviet office. The process of exile was carried outfrom therein 3 phases. We always knew the people who were subjected toexile. A black car would arrive and 3 sturdy fellows in black leather (leather clothing) would come out of it, and we would understand that they were going to take somebody.Usually we had no idea who it would be, but very soon we would know it. Nobody was allowed to come or to cry after them. Officialswould say “We are taking him and he will be back in the morning”. They would take him and there would be no return, neither in the morning nor ever. The car was called “Black Car” because of its black coating.When one would say “The “Black Car” arrived”,we wouldwonder who the next would be, and which family would be ruined next. Every time when we saw the”Black Car” coming, we would run to the barn. Grandma would lock the door,and we both would weep a lot in a loud voice, as if feeling tranquillized after that. When we went outside, and thepeoplewould come, Grandma would laugh. It was really surprising. Later I understood that she was laughing on purpose, just not to let the malevolent peopleknow or feel about our miserable situation. She would say “Hey, kid, put all the black inside and show only the red”. 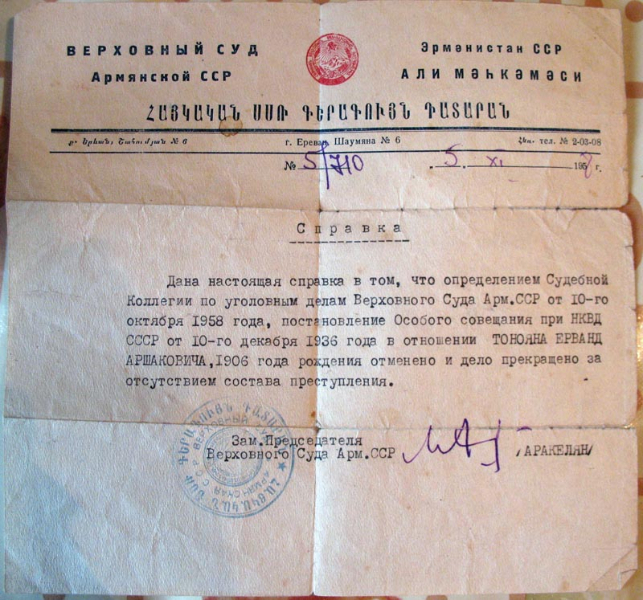 A son shall not payfor his father’s deeds(«Сын за отца не отвечает»). This phrase was stated by Stalin in 1935. In December, at the meeting with the party leadership in Moscow a leading kombayn driver, Bashkir kolkhoznik Gilba said “Although I am a kulak’s son, I will honestly struggle for building socialism and for the workers and peasants”. In 1937, July 5, thereupon a resolution was reached by the Politbureauof the Central Committee (№ П51/144).ՀամԿ(բ)ԿԿԿՔաղբյուրոն (№ П51/144). Three attempts were made to banish us. One was in  42  43when Germany had approached too close, the second was in  45  46 and the third one was in  48. Once they came from KGB to interrogate Grandma and her sister on some exile issue. Grandma’s one nephew’s name wasStalin;the second’s name was Zinovyev and the third’s name wasKalinin. So, all those kids were given the Politbureau members’ names. They called Grandma for interrogation. I only remember her saying[Grandmother] ‘’I am telling you the truth, my son wouldn’t do it. If you want we can swear. If you want you can strip off our skin. I won’t tell any lie”. The KGB officer whose name was Saribekian said ‘’Yes, do it, and I will believe you’’. ‘’I have a son and so does my sister. We swear by our boys’’. Then she turned to her sister and said”Your boy’s name is Stalin, let’s take and put that nameaside so that not to harm it.If any of us tells a lie let her son die suddenly.’’ In those days if one was caught in the street throwing a paper withStalin’s picturehe wouldn’tevade responsibility. He would really pay for it. Nobody would visit us in our place, as nobody wanted to show connection with us so that not to be labeled as Connected. It was dangerous. We were completely isolated. Once in  37 when I was 7 years old, there was no school in our village. The school was in separate houses. Once we gathered in the yard of a house, and all the teachers were from our village.Each of them was choosing the children to formclasses. Eventually three classes were formed, 25 pupils in each of ABC classes. All the children were chosen except me. Nobody took me, and I kept on standing all alone. I was a Trotskist’s son, I was labeled. Zinovev – Gregory Zinovev, an activist of the Russian Revolution and later a Soviet politician, official. He was born to a wealthy Jewish family (family name – Gersh Radomeslski.The name Gregory was the party nickname and the last name Radomeslski was later used as a literary pseudonym). He was convicted several times for his Trotskistideas. In 1934 he was arrested and sentenced to ten years, but two years later, in 1936, the judgmentwas changed, and Zinovyev was sentenced to death. Kalinin – Mikhail Kalinin, a Russian revolutionist, soviet politician. Was born in 1875, in a worker’s family, had a typical revolutionary past. After the Bolsheviks came to power he held high political positions. 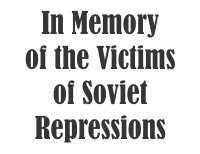 In 1932, Kalinin signed “Law of Spikelets”, in the consequence of which a lot of innocent people died in the Soviet Union (the parents or grandparents of some of our interlocutors were convicted by this law). In 1938 Kalinin was the president of the Presidium of the USSR Supreme Soviet. In the same year his wife Catherine Lorbergewas arrested. She was granted amnesty in 1945. Michael Kalinin died in 1946 and was buried in the Kremlin wall. Nobody took me. 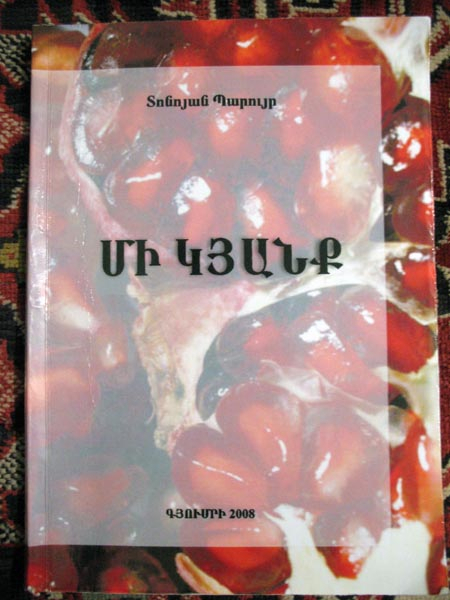 … Anushavan Kirakossyan from Dzorakap was a teacher in our village. He said ‘’Let this kid come with me’’. He didn’t know whose son I was otherwise he wouldn’t take me either. I was in the second form. It was in  41. The logistics manager would bring and give some 200gr of bread to each child except me. Everybody would be granted a piece of bread but not me. I was a son of a Trotskist. I went home and told Grandma about it. She understood what it wasand said “Ok, kid, take it easy.’’ When we got up in the morning shemade a kind of sandwich for me puttingsome cheese into a piece of lavash and said ‘’ When they bring the bread and give it to the kids you just take this out and eat.” It was my “victorious brtuj”. When they brought the bread and served it to the children I took mine out, and everybody saw me having a piece of bread with cheese. There were a lot of taxes to be paid those days. Either you had to pay some 75 eggs or some oil …Grandma would pay them earlier than others. We didn’t have chicken, but she used to paysome 75 eggs. She would go to the market in Artik and would buy them in order to pay them as a tax. She wouldn’t buy them in the village as she didn’t want the people to know that we didn’t have chicken.When the year of 42 came, every house had to send a parcel (a parcel to the front for the fighting soldiers). If one would fail doing it, he would be considered as an enemy. Grandma would send some socks, gloves and halva. She would manage to do those things. She would prepare the parcel and would send it first. Then they started to write loans and obligations. The official called her and said that shehad to give more than the others because we were at odds with them, because her son was contra. Grandma asked how much he himself was going to give. He said 500 rubles. She answeredthat she would give 800. In those days we had more obligations at home than anyone else. Dzorakap village of Shirak region.